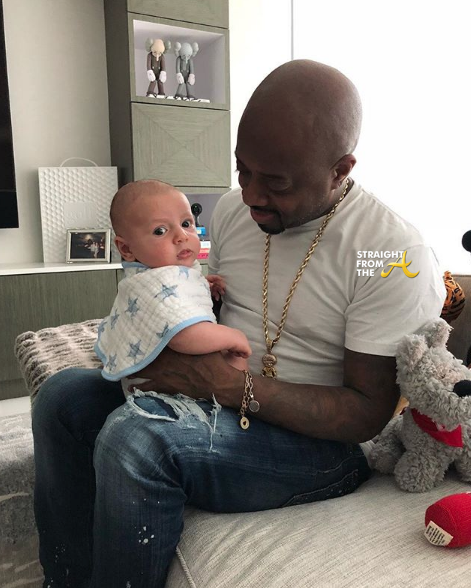 Super producer Jermaine Dupri hit the net recently with an image that has even his closet friends perplexed. The So So Def founder hinted at a “confession” of sorts by posting an image of himself holding a Caucasian infant with the simple caption “#3”. Is Dupri, the father of two daughters, hinting that he’s spawned a third offspring? 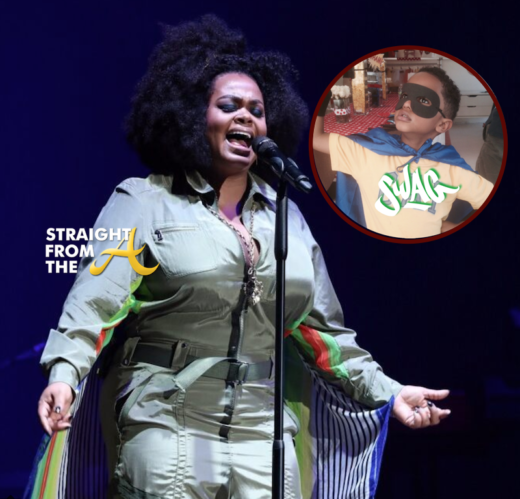 Jill Scott’s vocal ability is undisputed and she’s recently revealed that talent is in her blood. The proud parent showed off her 9 year old son’s vocal range recently in an instagram post and her certainly wasn’t shy about it. Beyoncé has shared a new photo of the toddlers, Sir and Rumi Carter and my how time files!!! The Carters embarked on a family vacation in Capri, Italy during a break in their On The Run II Tour. 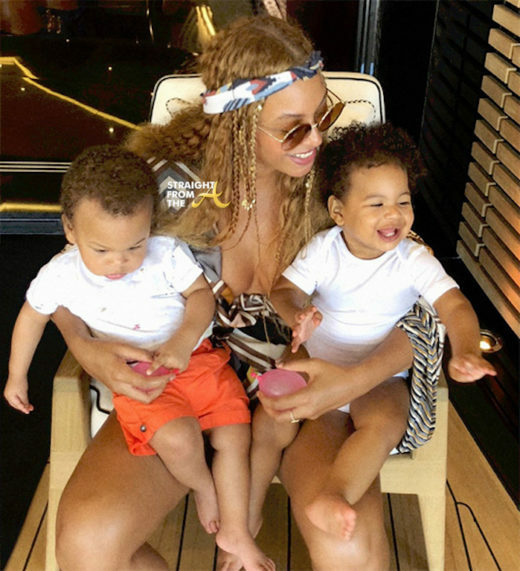 Beyonce shared the family photos of their European vacation via her personal website, including several of husband Jay-Z and 6-year old daughter, Blue Ivy. 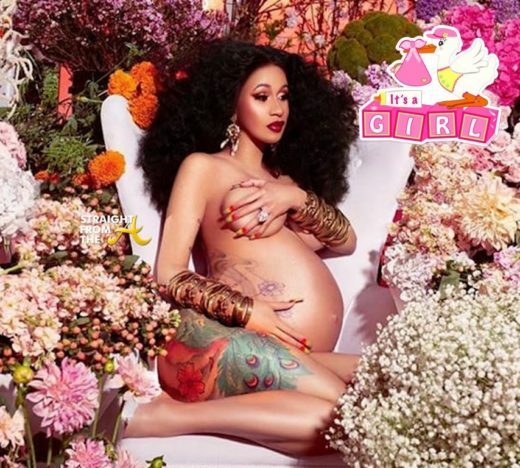 Random blawgs have been speculating that Cardi B gave birth days ago, but apparently they were ALL WRONG!! Cardi B and her husband Offset proudly welcomed their beautiful baby girl into the world late last night at an Atlanta area hospital surrounded by family and friends. 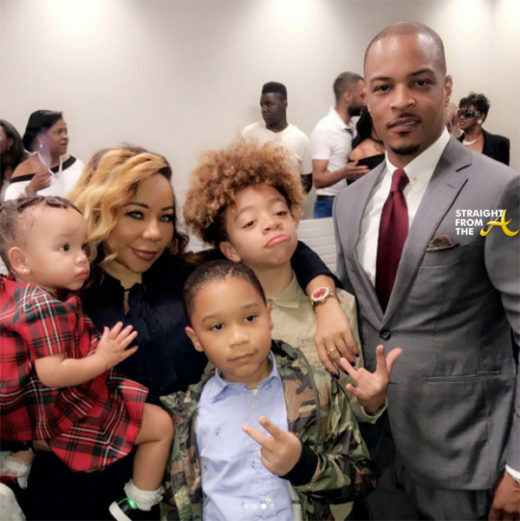 Over the weekend, rapper T.I. was caught smacking the booty of his ALLEGED new side-chick. Well in the midst of the latest cheating scandal, the popular entertainer admits that at least two of his kids aren’t speaking to him right now. NEWSFLASH!! 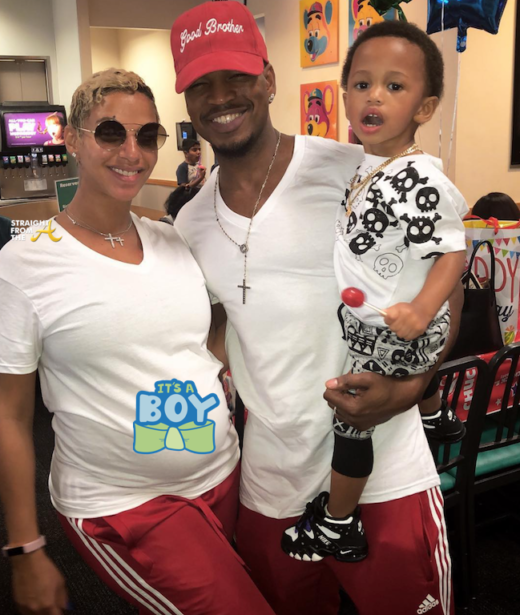 Ne-Yo is a father… again! The R&B singer/songwriter and his wife, Crystal Renay Smith, welcomed a son named Roman Alexander Raj Smith on Thursday (June 14).